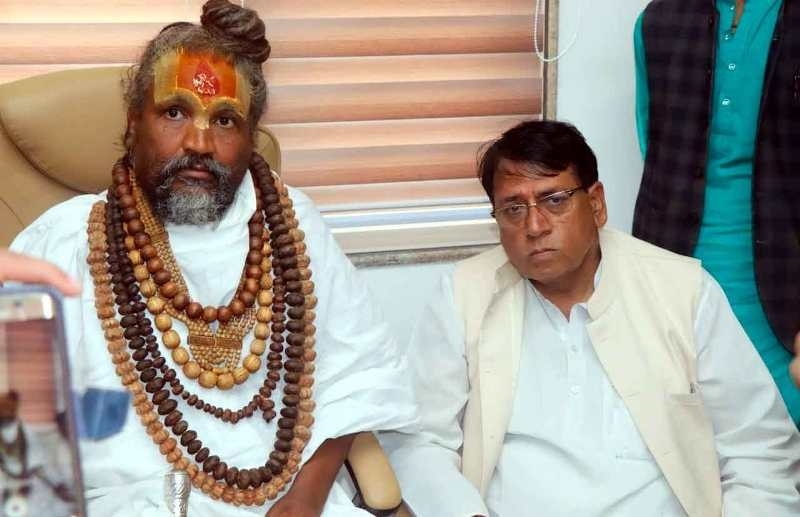 Bhopal: Computer Baba paid a courtesy visit to Religious Trust and Endowments Minister P.C. Sharma at the Mantralaya. Computer Baba gave blessings to Sharma and the government on behalf of all seers. Expressing gratitude to Computer Baba, Sharma assured him that all essential action will be taken by the government with due respect to the sentiments of the seers.